Old Airport Road Food Centre is in a way similar to an airport. Just that here, you take a trip around the world via your taste buds! 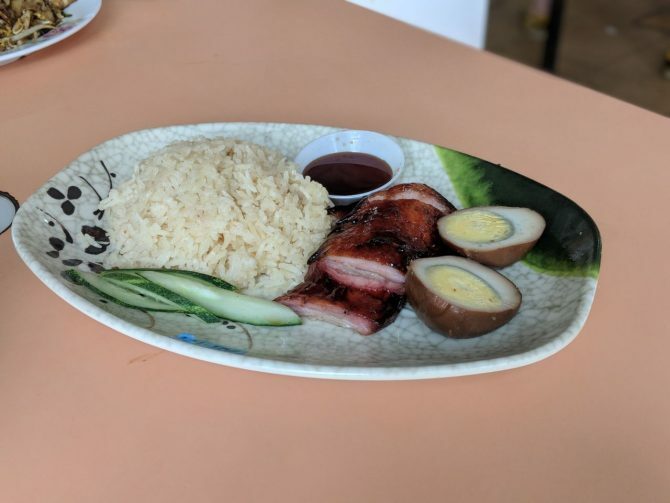 Since bidding its previous entity as Singapore's first civil airport Kallang Airport goodbye in 1973, Old Airport Road Food Centre has changed for the better by becoming a food haven for all. Now, the two-storey building likens to a culinary labyrinth, filled with more than 100 hawker stalls that offer an exhaustive array of both local and some international delights at low price points. For a taste of Kuala Lumpur’s style of char siew, head on to Roast Paradise. Run by 20-something dudes who left their previous jobs in the hospitality industry, the stall has garnered much fanfare for its classic KL char siew goodness – we’re talking chewy pork that touts a sticky-sweet exterior, charred slightly on the edges for a nice smoky finish. You’ll definitely want seconds after the first order.